Sew Cute: Nordstrom Anniversary Sale Picks!!!! My Nordstrom Anniversary Sale must haves! So, it is that time of year again! Aka the best time of the year. I love the Nordstrom sale because you can get a lot of things that normally don't go on sale for a discounted price! Such things include designer shoes, handbags, and tons of fun jewelry. I have been shopping this sale since as long as I can remember. Since my family is avid Nordstrom shoppers we get early accesses to the sale. So, here are some of my favorites from the sale that you can see early! Kendra Scott earrings ON SALE! Ummm this is huge. I have been wanting these earrings for a while now but they are a little expensive in my opinion and usually don't go on sale. But the sale has them for only $33.90 compared to a normal $50. So, these are a pretty good deal! They have lots of gorgeous fall colors but these two are my favorites for sure. Who doesn't love a good monogram? Well Nordstrom has a ton for this sale which is a new thing for them! Very exciting news. Here are three of my favorite monogram items. 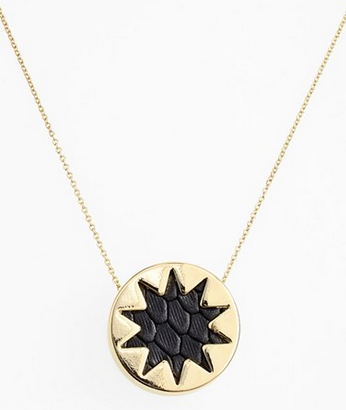 I love this simple little Kate Spade necklace. Its super dainty and you could layer it with other pieces super easily. I have a new found love of tortoise shell so I am obsessed with this bangle. Then a classic monogram necklace on sale? Sign me up! This monogram necklace is around $80 which is a pretty good price compared to most nice monogram necklaces. Shoes are a major thing I purchase at the sale. Here are my top three that I am going to be looking at. Tory Burch flats on sale are a rare species. They have both an all silver and an all gold pair on sale for $150! I am thinking about the gold ones! Then I am in need of black boots and a pair of booties for "going out". So, here are my two favorites. Both of these boots come in a bunch of different colors. I love my Sperrys! They have a few super cute styles for the sale and I think they are all Nordstrom exclusives. These were my favorite pair. I like the tradition style of the shoe but it has the gold cord as a fun accent. Watches are also a great thing to buy at this sale. They have Kate Spade and Michael Kors watches on sale which are hard to find. Here are my top two. I have been wanting a tortoise shell watch so this might be the one I end up getting! 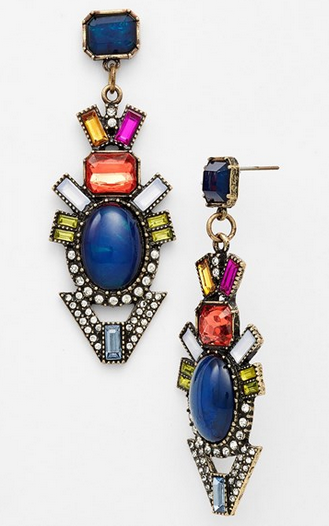 Who doesn't love a fun earring? Well here are three earrings that I am in love with. 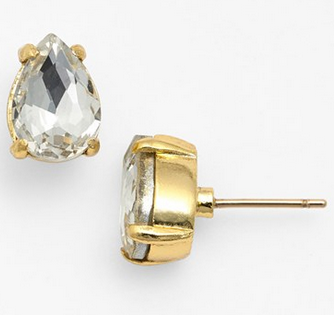 Two are more simple studs then the other is a great statement earrings. All of these earrings come in multiple colors plus are all under $30! Here are also two necklaces I am loving. One is a bold statement piece and the other is more understated. I love myself a new phone case. For $25 I might have to pick up this Kate Spade one. They have two other styles on sale as well!